The Jets took Geno Smith in the second round of the 2013 NFL draft. Does this spell the beginning of the end for Mark Sanchez, or can the veteran hold off the talented rookie? When you are looking to establish yourself as the best quarterback on the roster and the leader of your team; what would be the one thing you’d want to avoid? Probably throwing a pick six on your first drive of the preseason. The next time Sanchez saw the field after that horrific start, he almost had another pass picked off and looked very shaky. However, on his third drive he looked much better. He made some good throws and hit his wide open tight end Jeff Cumberland for a touchdown. Geno Smith looked good in limited action as he showed off his strong arm with some quick throws, but he was forced to leave the field with quite a nasty ankle sprain in the third quarter. Ouch. 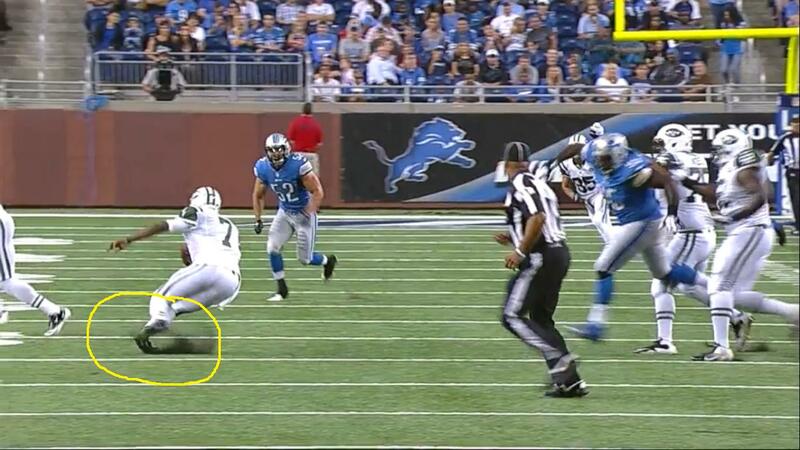 Ankles are not meant to go that way. With Geno Smith not fully recovered from his ankle injury, Mark Sanchez got plenty of action against the Jaguars, playing deep into the third quarter. 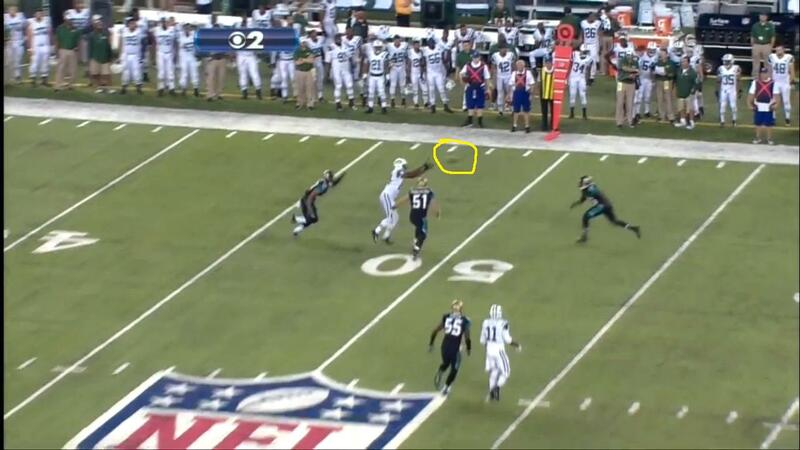 He looked very good on the first drive, which included a quick strike to Stephen Hill between defenders. A perfect ball by Sanchez where only his guy could get it. This is the type of throw that Sanchez should be making routinely. 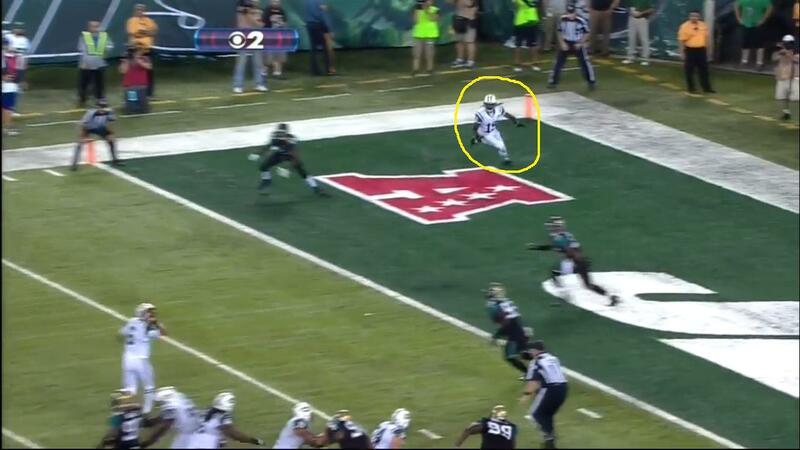 However, for the rest of the game Sanchez was not very impressive. He had an unforgivable interception in the end zone where the man he was throwing to was well covered and Sanchez simply tried to force it in. Later on in the game, he had a wide open receiver in the end zone but didn’t keep his eyes up long enough to see him uncovered and the Jets were forced to kick a field goal rather than get the touchdown. These are the type of plays that separate the rest of the top quarterbacks in the league from Mark Sanchez, and unless he can start to make better decisions, he will not help the Jets win football games. Who should win? Geno Smith - We haven’t been able to see much of Smith, but he has the talent and potential to be a good quarterback in this league. Sanchez has played at a very low level for a number of years and we can not expect him to show much more improvement at this stage in his career. Who will win? Mark Sanchez - The injury to Smith may have played a part, but I believe the Jets are willing to give Sanchez one more chance to lead this team.